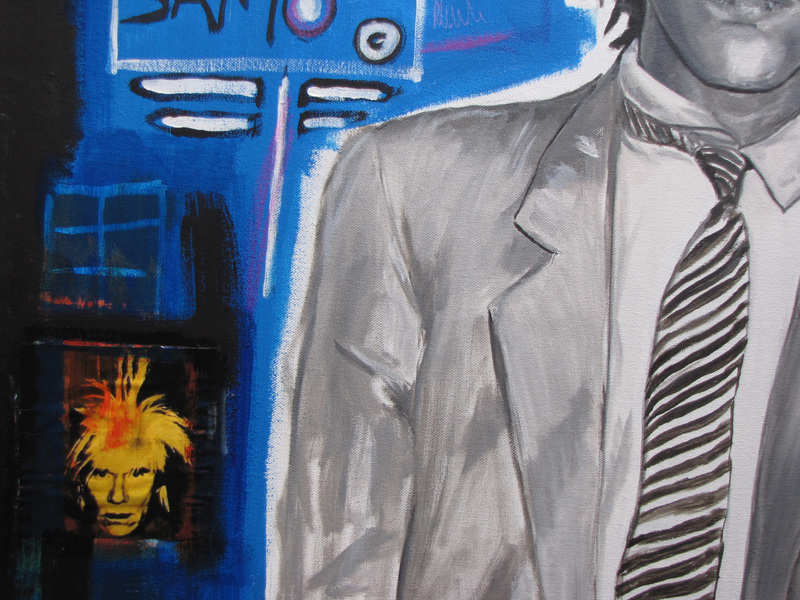 This is my personal tribute to one of my favourite artists, Jean -Michel Basquiat. 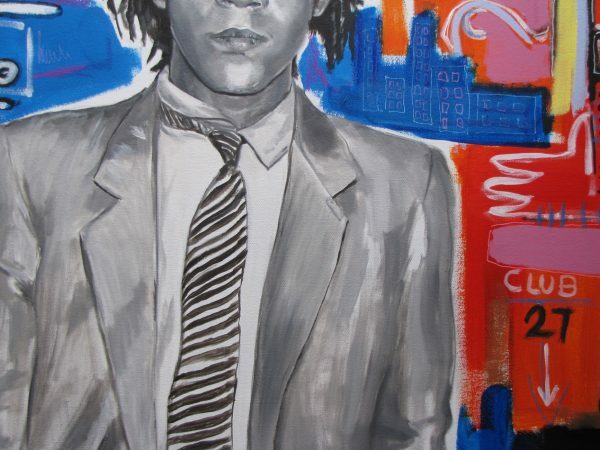 A poet, musician, and graffiti prodigy in late-1970s New York, Jean-Michel Basquiat had honed his signature painting style of obsessive scribbling, elusive symbols and diagrams, and mask-and-skull imagery by the time he was 20. 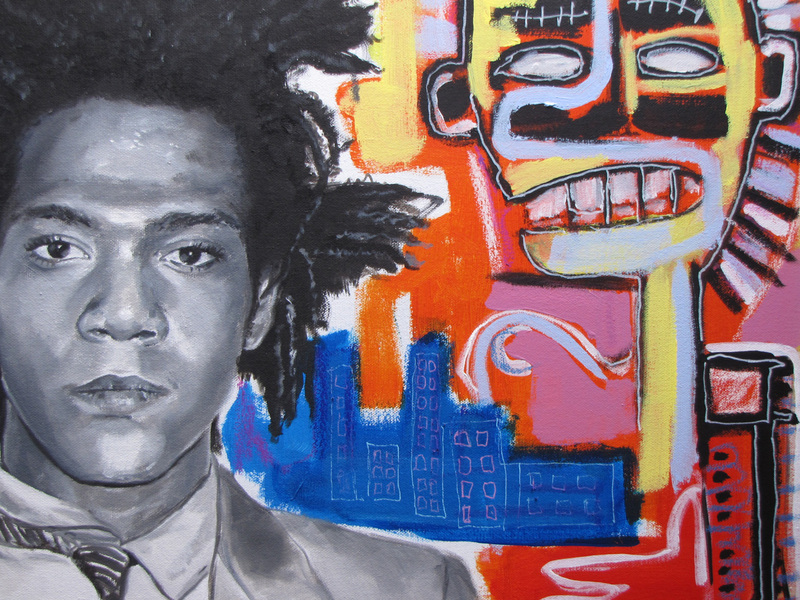 I painted his portrait using oil paint and made the background inspired by Basquiat artworks in acrylics and markers. 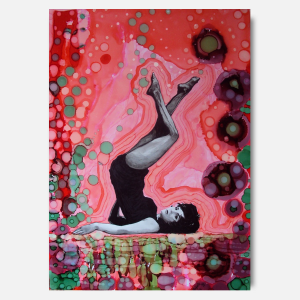 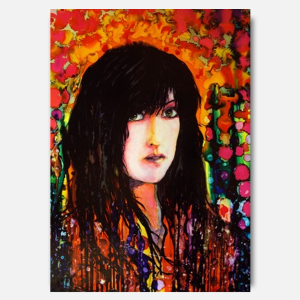 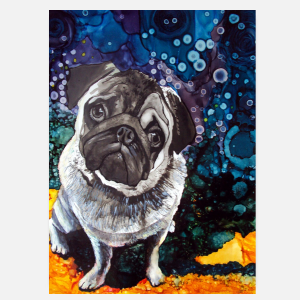 A small collaged picture of Andy Warhol can be seen at the bottom left as a reminder of the close relationship the two artists once had . 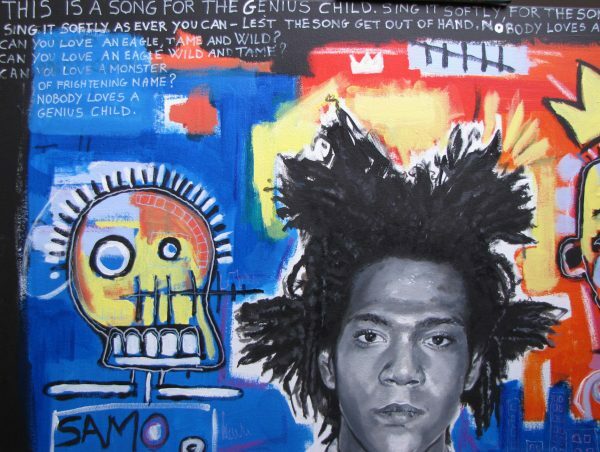 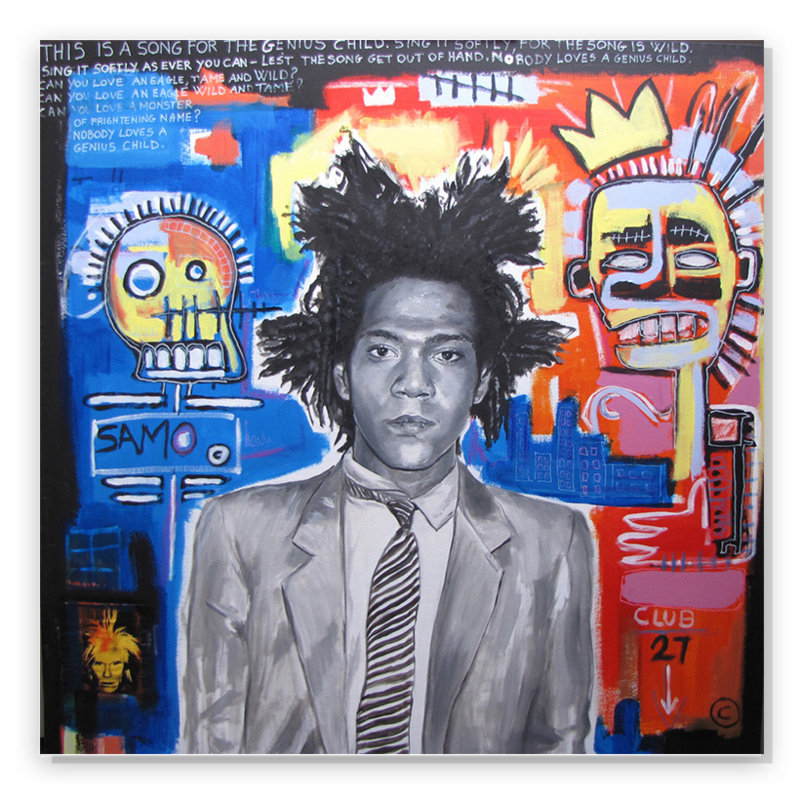 The poem Genius Child by Langston Hughes (1937) has been written at the top of the painting as an added tribute to Basquiat and it was used in the making of the documentary Jean-Michel Basquiat: The Radiant Child (2010), directed by Tamra Davis.